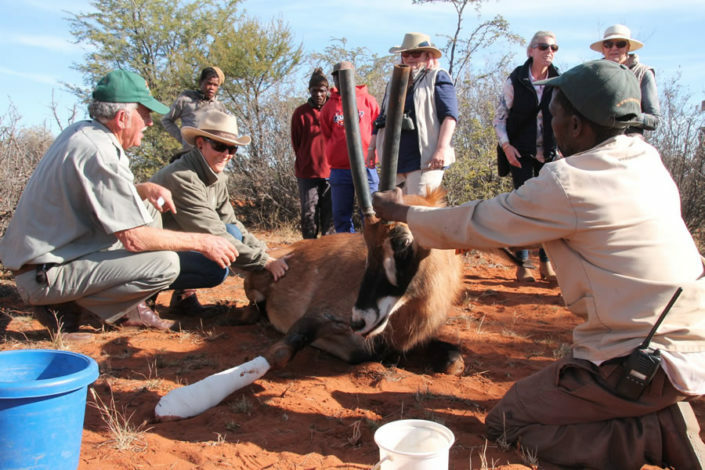 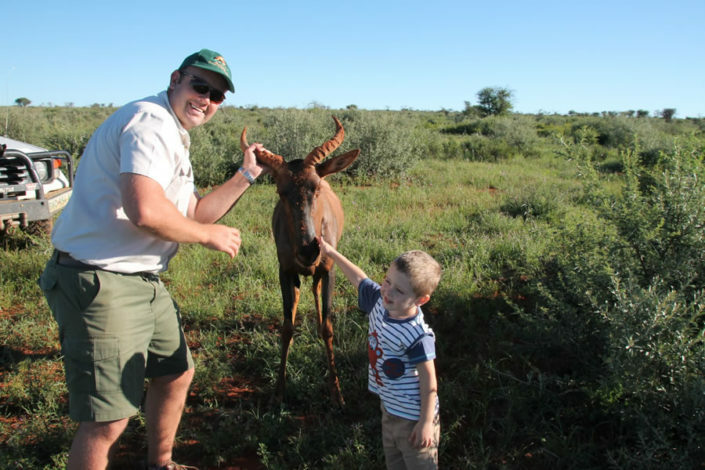 The basic day visitor rate for guests is R450 per person and includes either a morning or afternoon Game Drive followed by a buffet breakfast or 3-course dinner respectively. 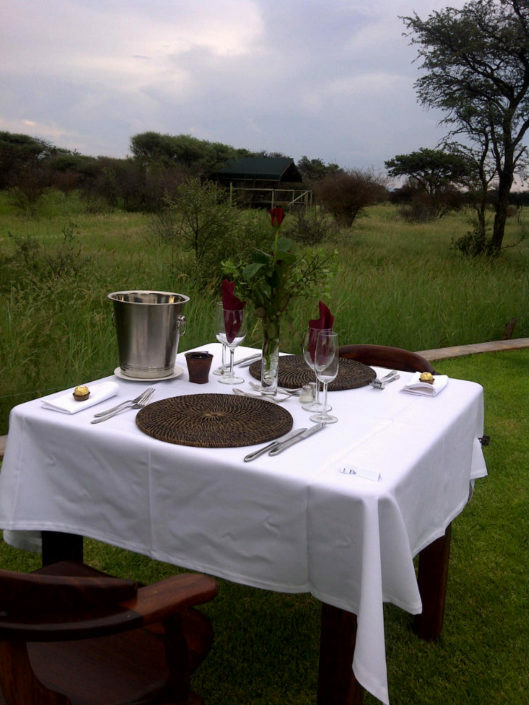 followed by dinner is available at R495pp. A bushdinner day package can be booked for a minimum of 2 people as a game drive (R450pp), bushdinner (R350pp) and helicopter fly-inn. 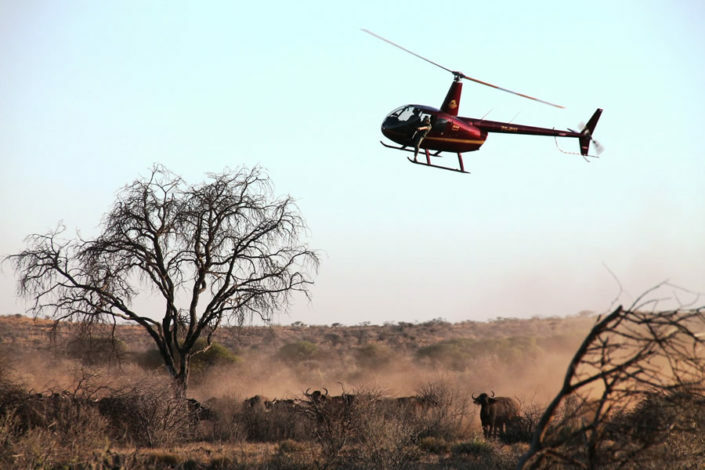 A maximum combined weight of 255kg is allowed on the helicopter and accurate weights need to be supplied otherwise flights will be cancelled without reimbursement. Massage treatments ranging from a back and neck at R300, foot and leg R300 to a full body massage at R500 can be arranged along with one of the above day packages. 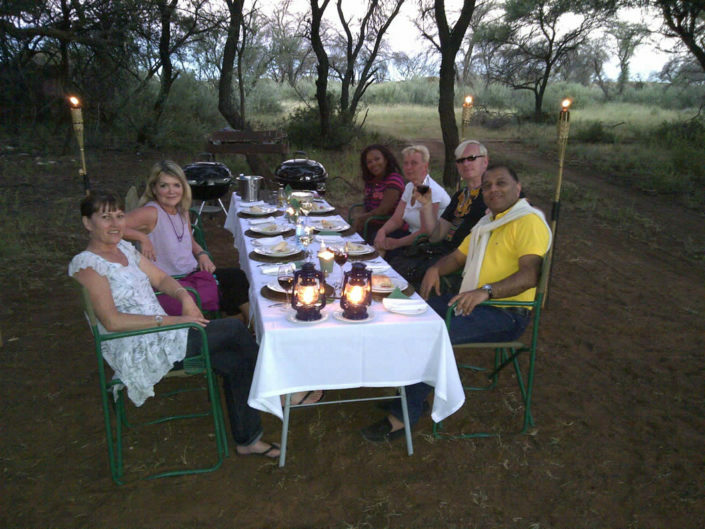 Dinners at Mattanu include a starter, buffet with 2 mains and dessert with menus rotating daily. 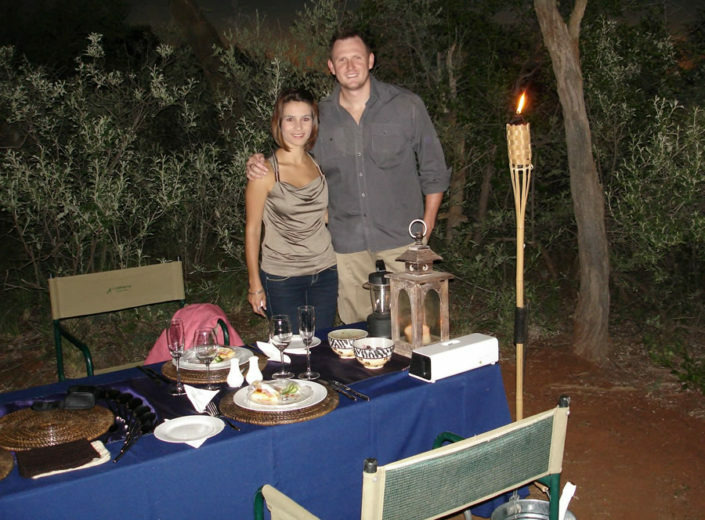 Any special dietary requirements need to be discussed in advance. 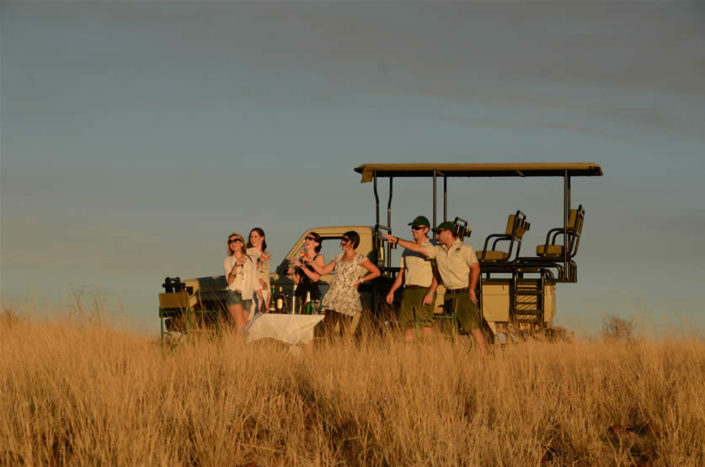 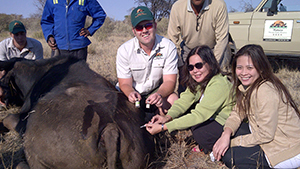 The Game Drives usually depart early morning and late afternoon and snacks/cold drinks are included. 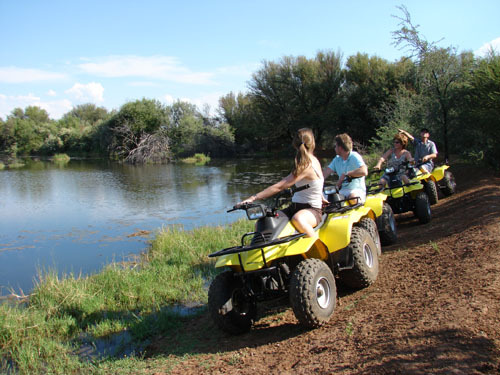 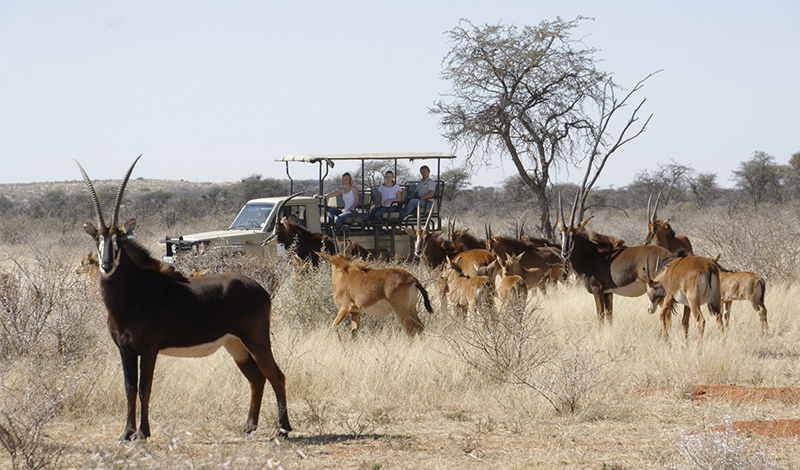 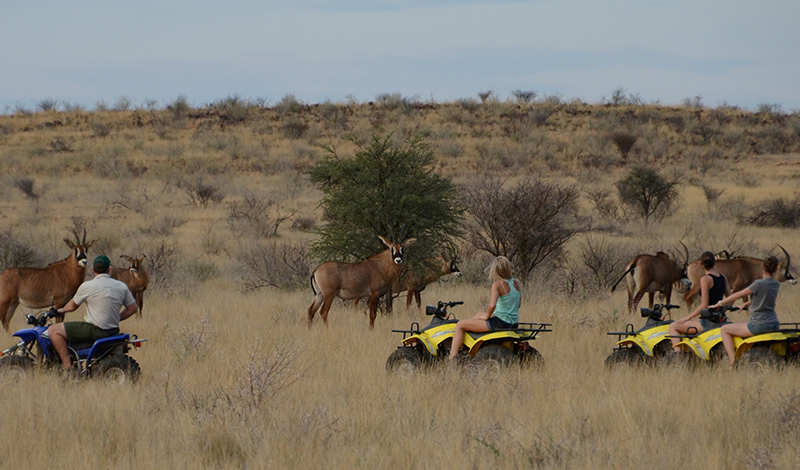 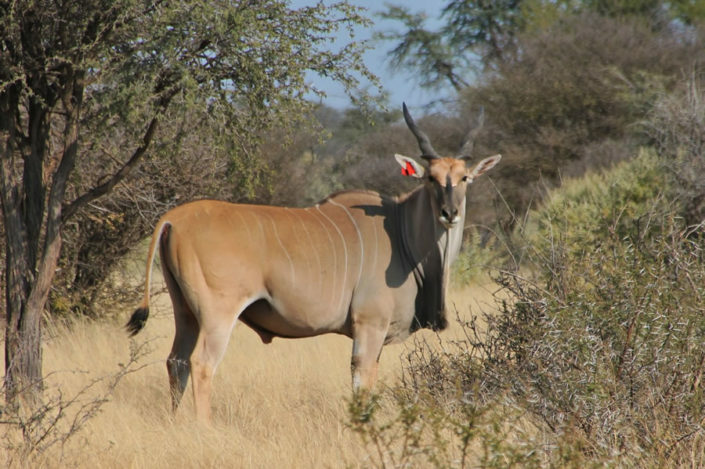 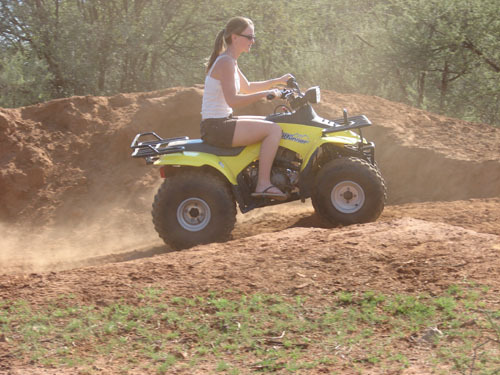 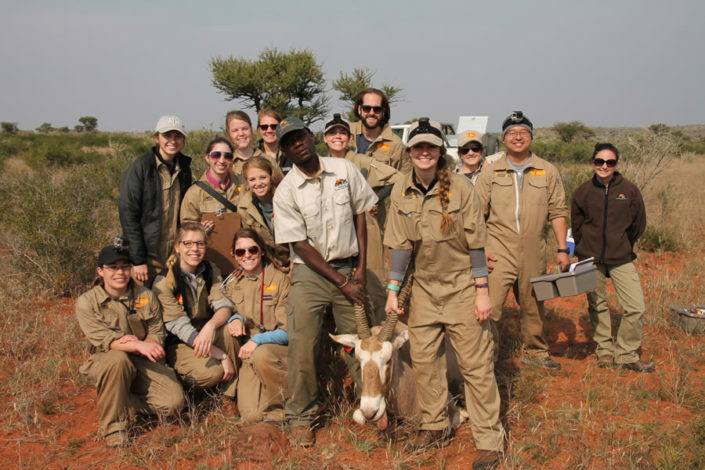 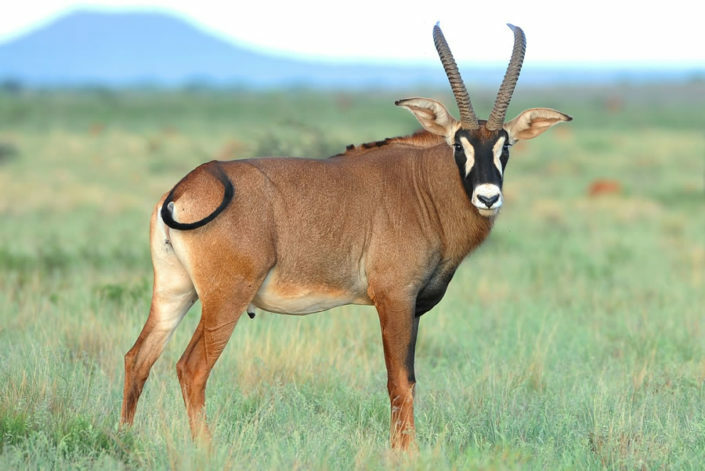 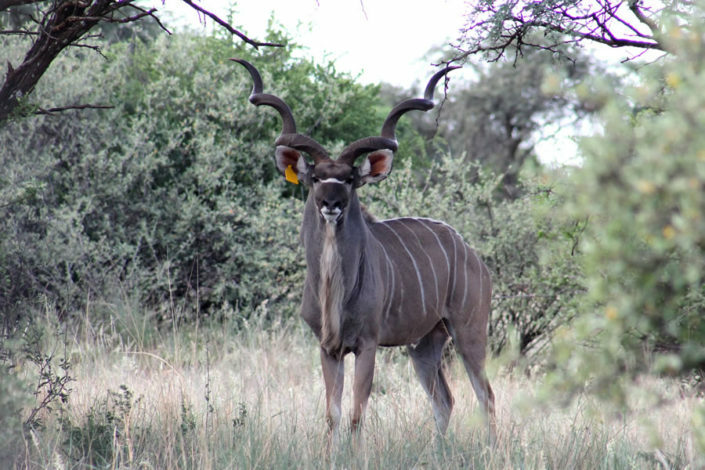 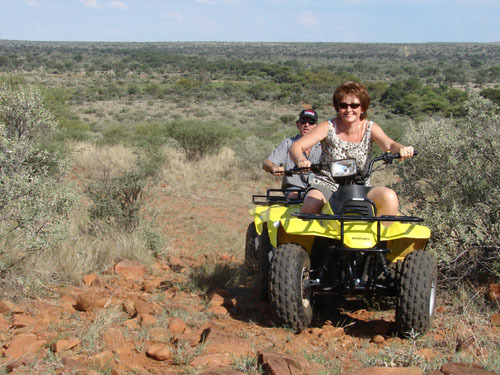 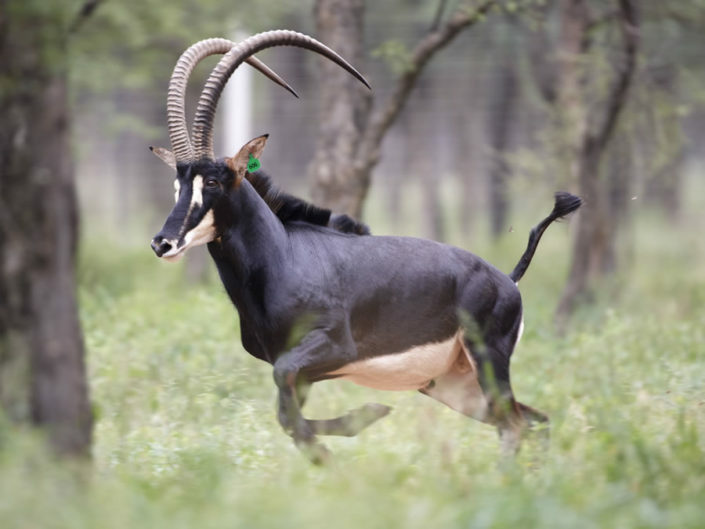 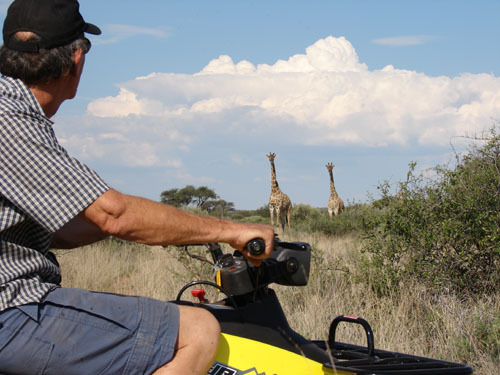 Early morning game drives may also be done on Quad bikes at R350 per person for accommodation guests replacing the morning game drive with a quad bike ride. 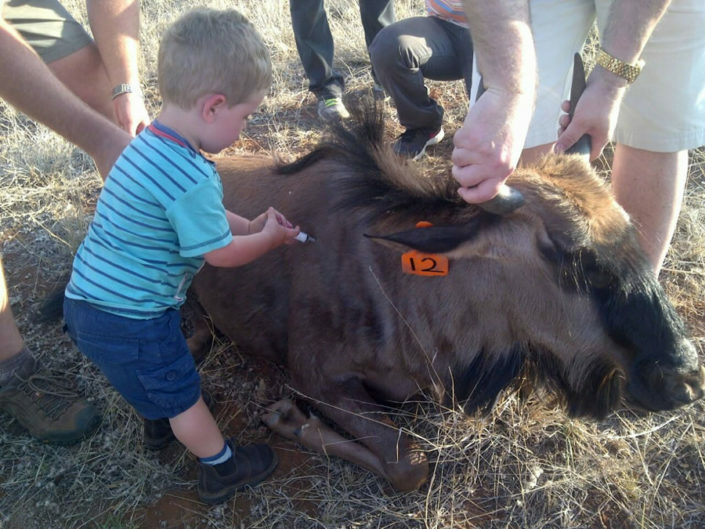 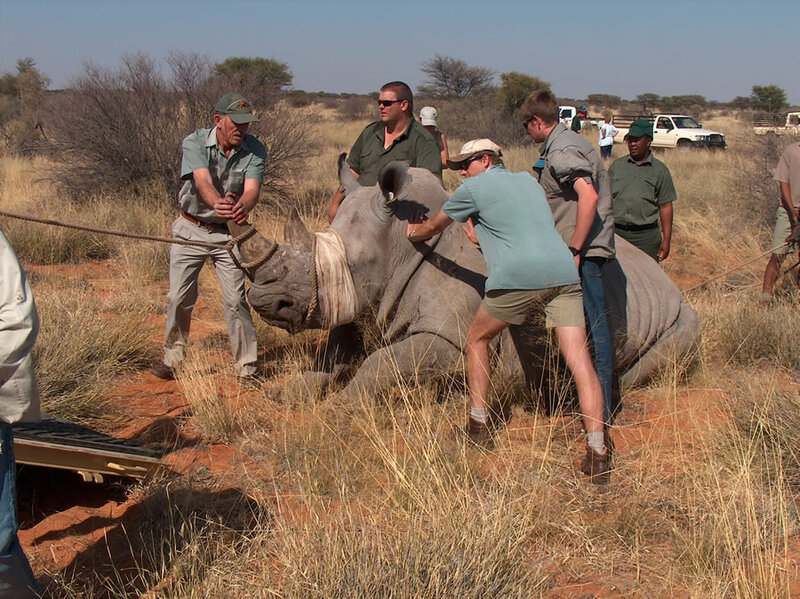 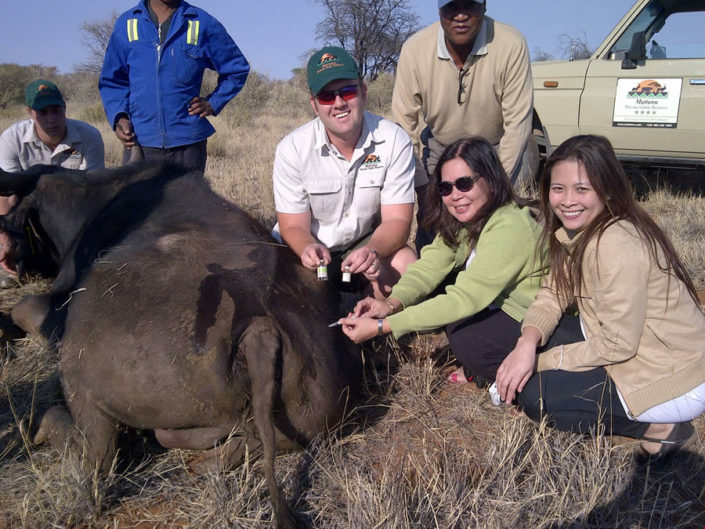 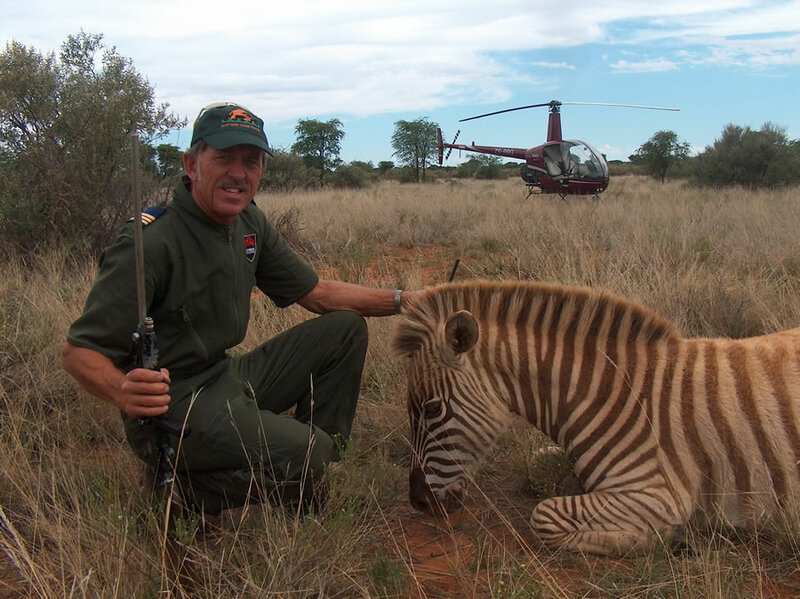 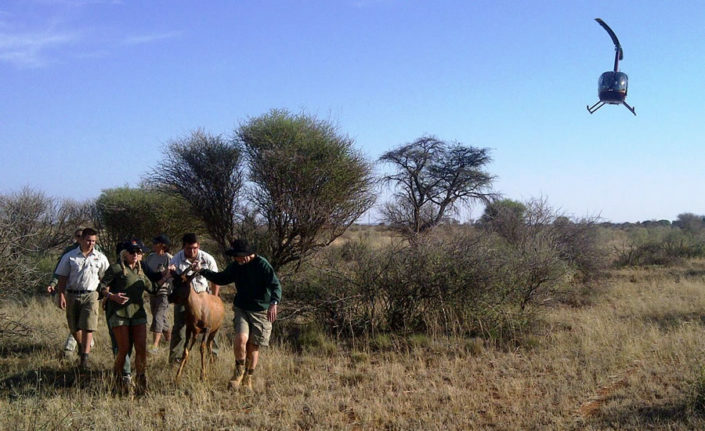 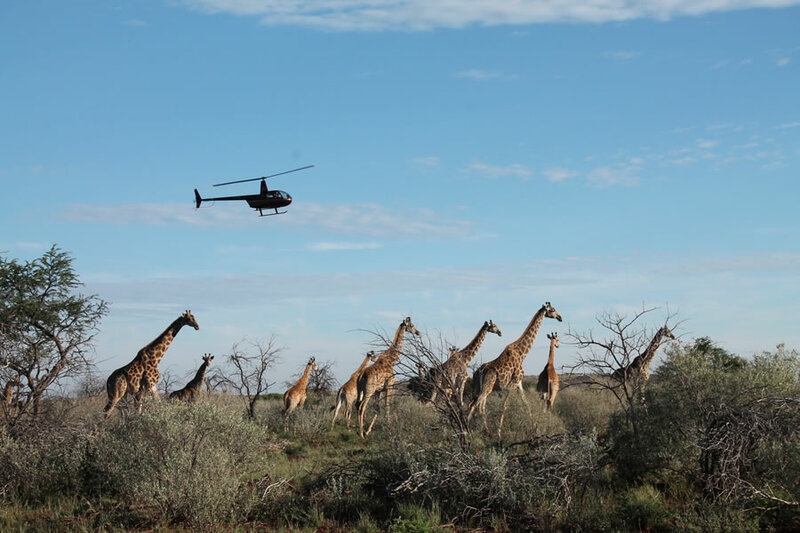 All game capture safaris will be quoted as per request as it depends on the season and availability of both helicopter, vet and pilot. 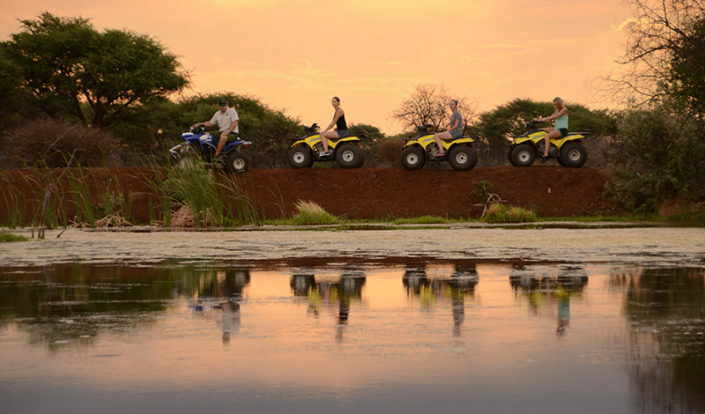 Massage treatments ranging from a foot to a full body massage can be arranged along with your accommodation packages. 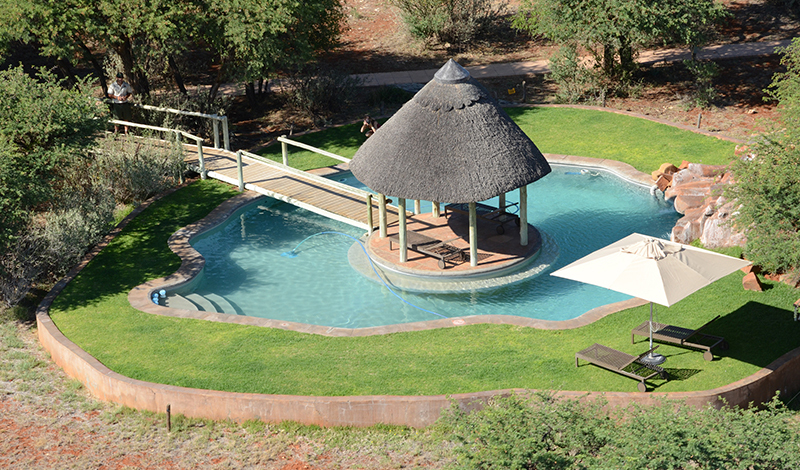 Our therapists can help you relax with a foot and leg, back neck and shoulder (R300) or full body massage (R500). 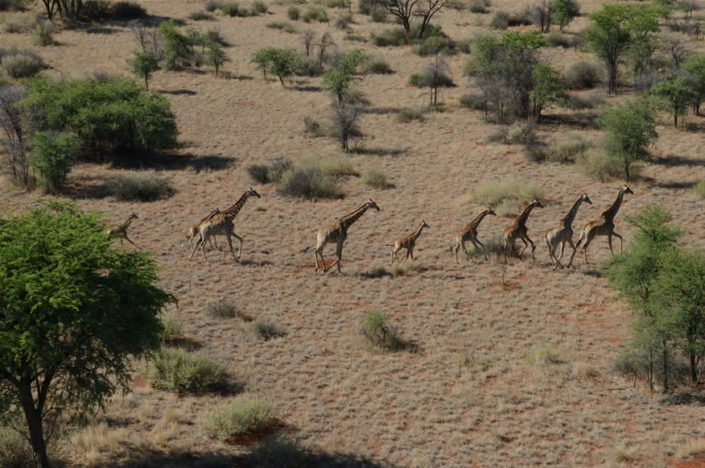 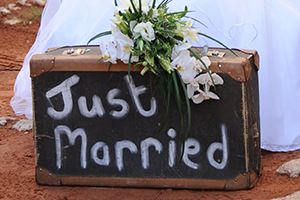 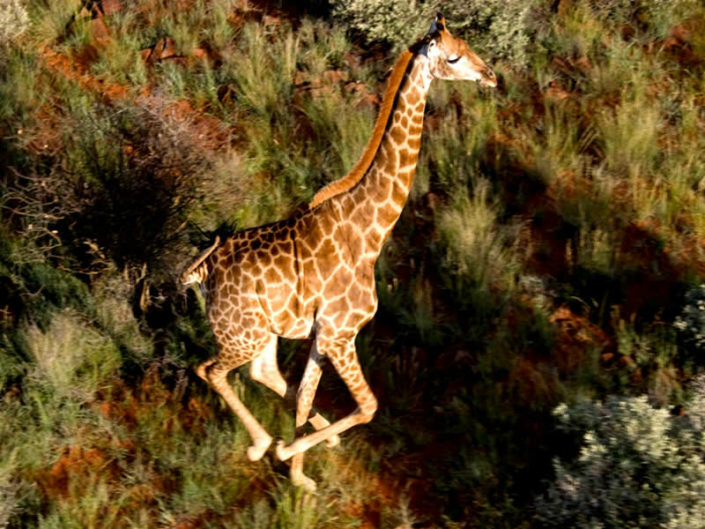 We also have Helicopter game viewing and bushveld dinner fly-inn flips (total combined weight of 255kg). 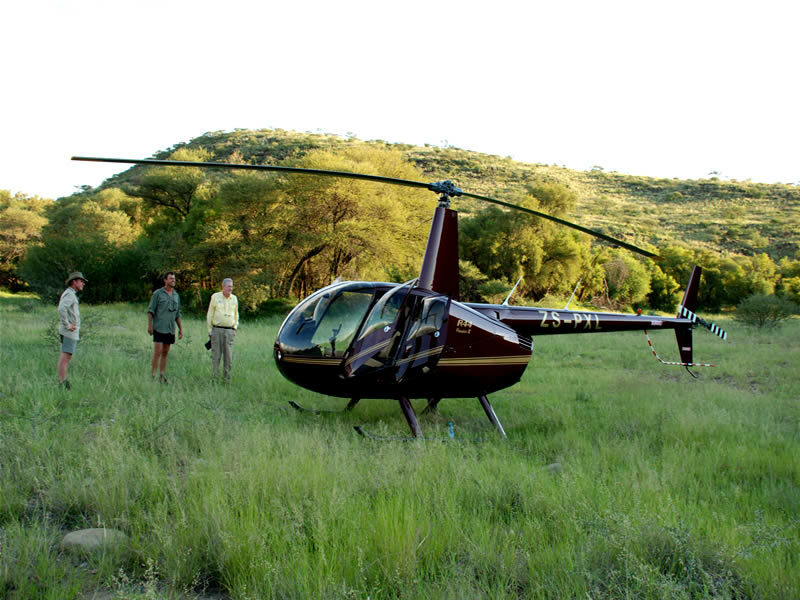 For all helicopter related activities a quote will be given depending on availability of the helicopter and pilot. 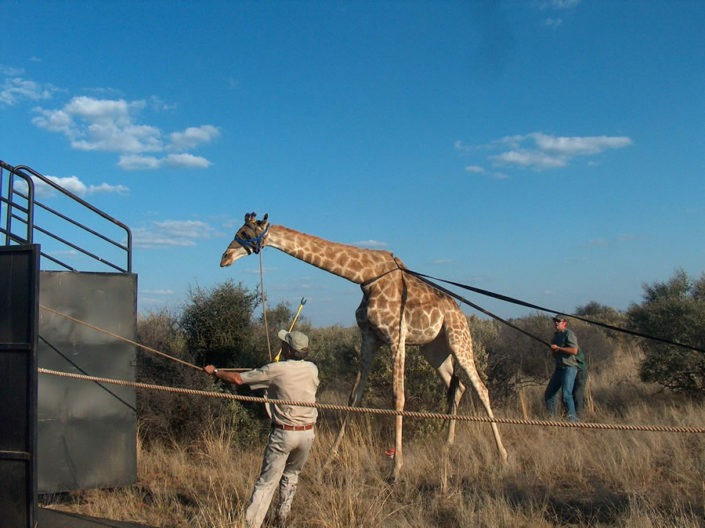 Starting rates of R12500 per hour. 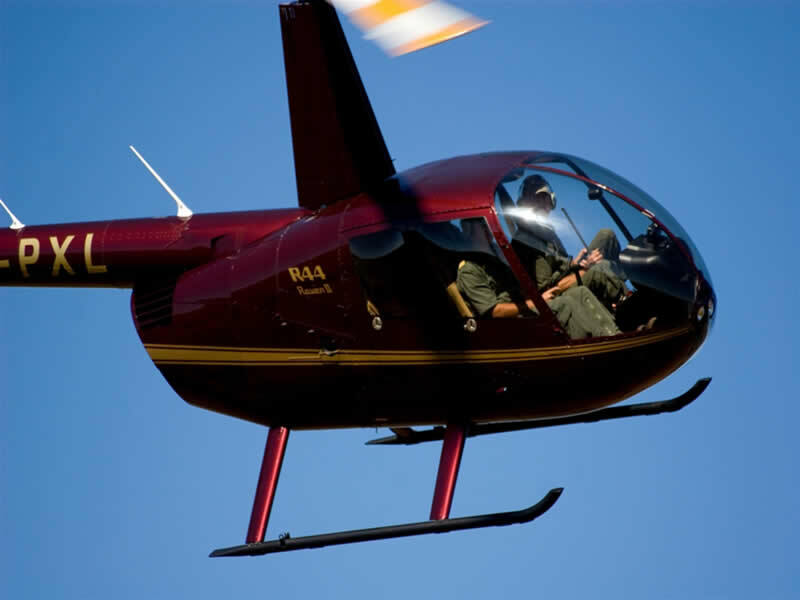 Weights need to be accurate for your own safety otherwise flights will be cancelled without reimbursement. 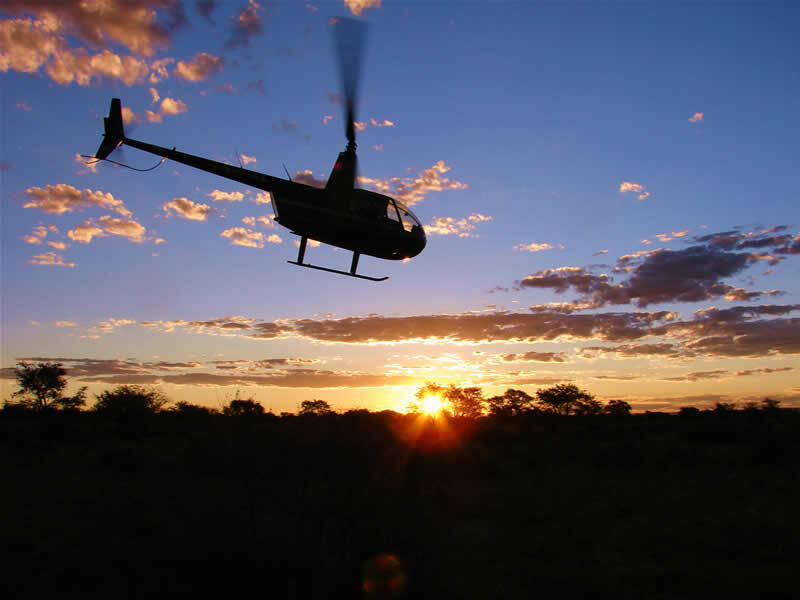 Fly in to fly. 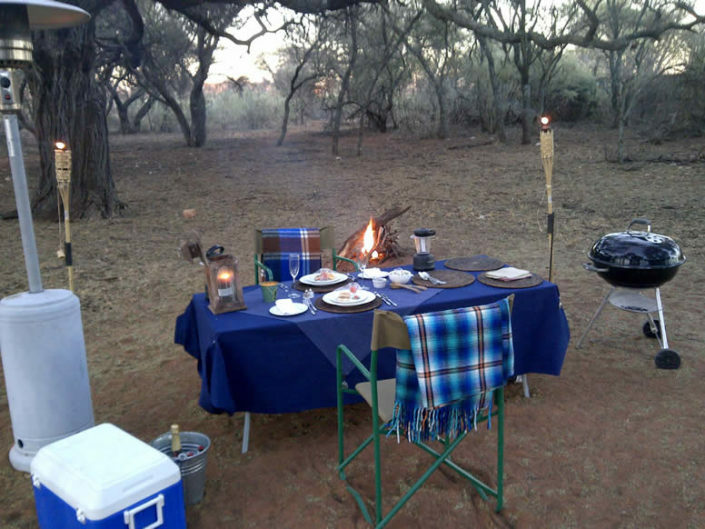 Few pastimes evolve into obsession and none can derive such satisfaction irrespective of result. 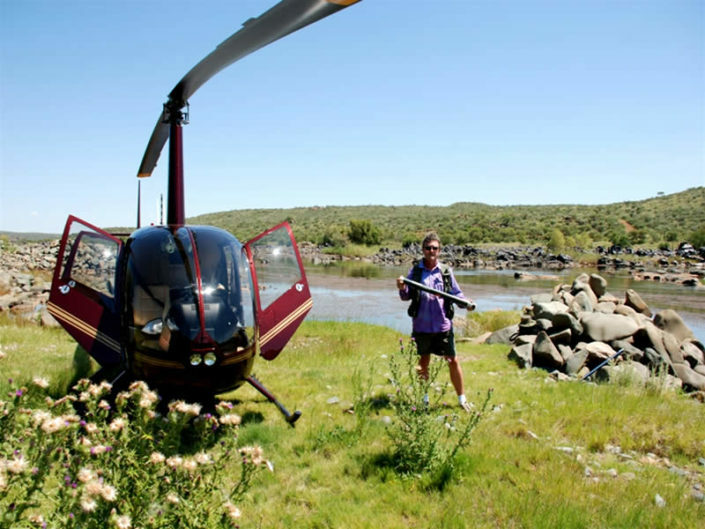 The anticipation of the first nibble at your line along with a scenic helicopter flight to the banks of the mighty Orange or Vaal River culminates into sheer excitement for what lies hidden beneath the surface. 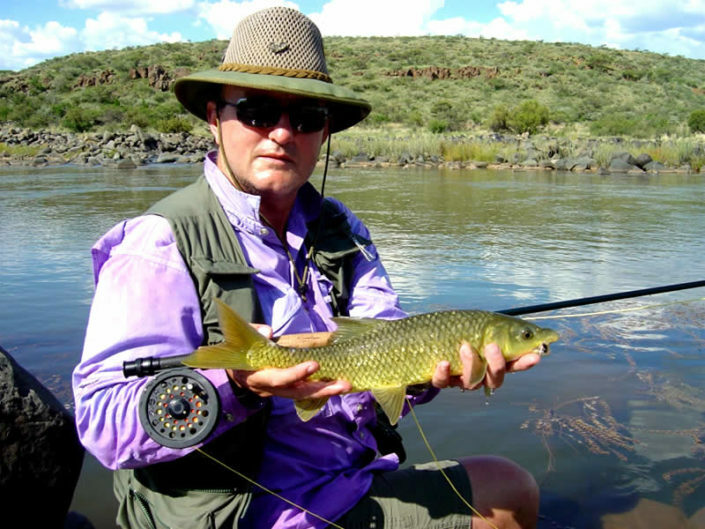 Fly in to any river or dam in the Northern Cape and test your skill against the Largemouth and Smallmouth Yellowfish, Carp, Barbel or Bass. 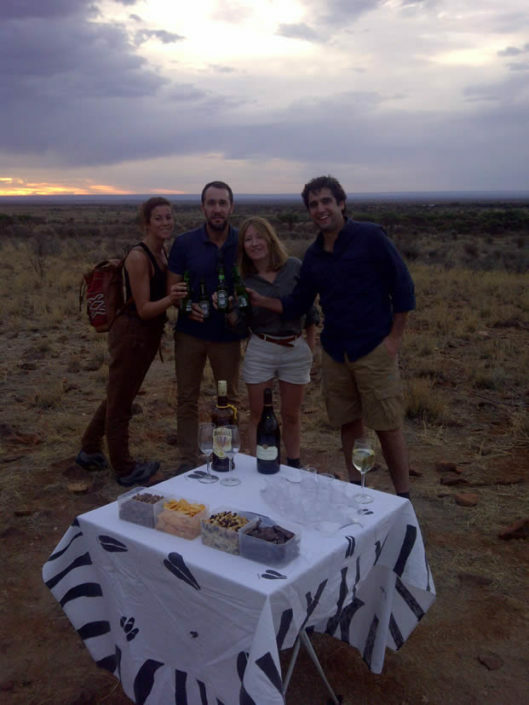 The idea started a few years ago and after some negotiations, is now available to tourists. The tour includes a helicopter flight (View official website of Kriek Helicopters) from Mattanu to some of the best yellow fish flyfishing spots in Africa. 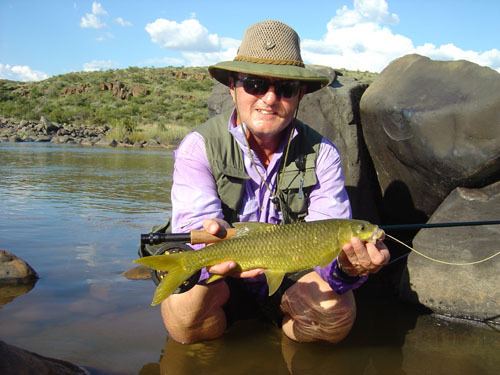 Some of these fishing spots are situated a mere 8 minutes from Mattanu. 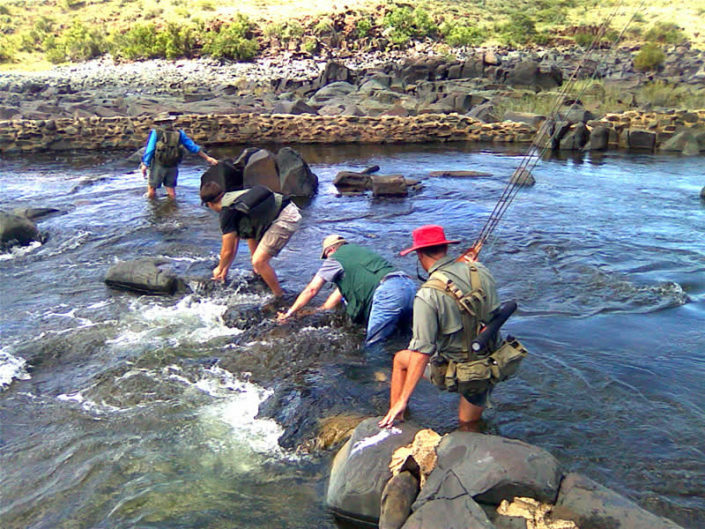 Qualified quides are used to enhance the fishing experience and they provide food for the day. Fishing tackle can also be hired if required. 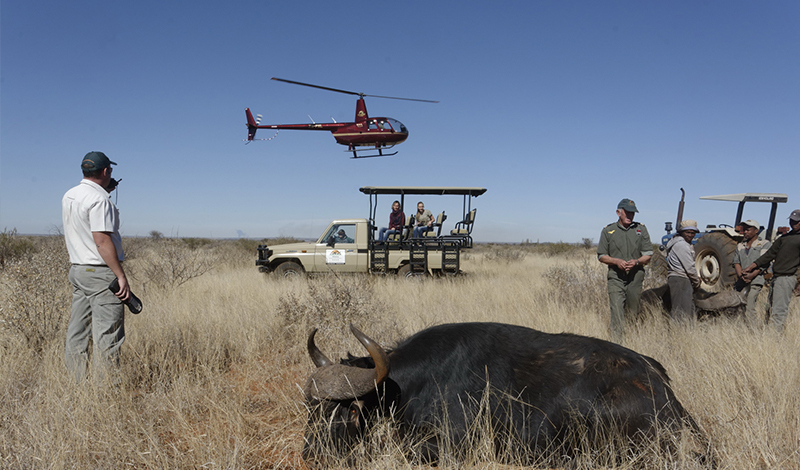 After a long day of fishing, guests are transported back to the luxurious lodge where they can relax in the pool, enjoy some good wines or a good Cuban cigar from the collection.